Today is known officially in Epsom as ‘Derby Day’ and though several races will be taking place on the Epsom Downs, The Investec Derby will be the main event. It is considered by many as the ‘greatest flat race in the world’. 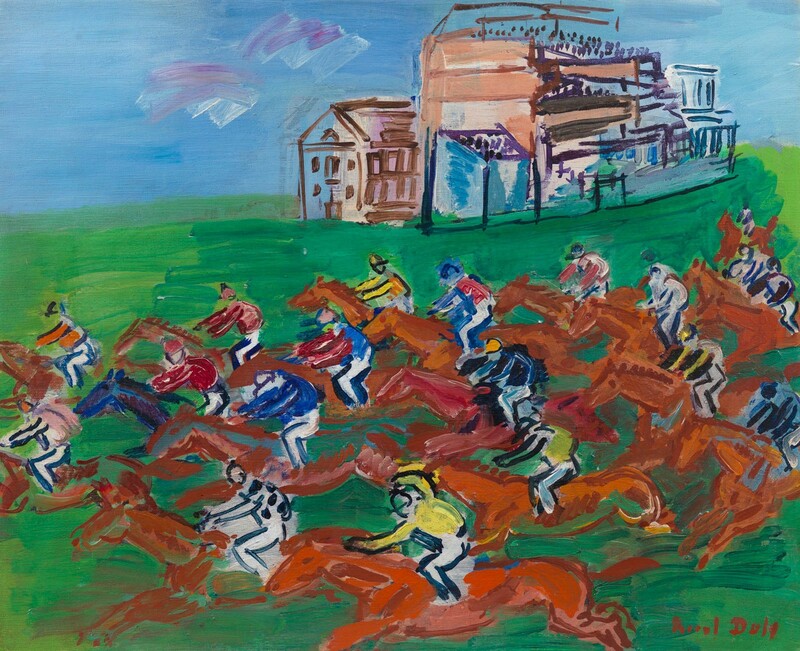 Horse racing was a motif French painter Raoul Dufy (1877-1953) investigated from an early point in his practise, the Epsom Derby serving as a subject that facilitated his growing fascination high-energy British social events. In ‘Epsom, la course’ Dufy perfectly captures the excitement of the race and the exhilaration of watching these high-bred creatures move effortlessly through space. We hope those visiting Epsom this weekend have a thoroughly enjoyable experience and that no matter the outcome; we hope the thrill that the races leave behind is long-lasting and memorable.